Mathematical physics refers to development of mathematical methods for application to problems in physics. The Journal of Mathematical Physics defines the field as "the application of mathematics to problems in physics and the development of mathematical methods suitable for such applications and for the formulation of physical theories". The rigorous, abstract and advanced re-formulation of Newtonian mechanics adopting the Lagrangian mechanics and the Hamiltonian mechanics even in the presence of constraints. Both formulations are embodied in the so-called analytical mechanics. It leads, for instance, to discover the deep interplay of the notion of symmetry and that of conserved quantities during the dynamical evolution, stated within the most elementary formulation of Noether's theorem. These approaches and ideas can be and, in fact, have been extended to other areas of physics as statistical mechanics, continuum mechanics, classical field theory and quantum field theory. Moreover they have provided several examples and basic ideas in differential geometry (e.g. the theory of vector bundles and several notions in symplectic geometry). The theory of partial differential equations (and the related areas of variational calculus, Fourier analysis, potential theory, and vector analysis) are perhaps most closely associated with mathematical physics. These were developed intensively from the second half of the eighteenth century (by, for example, D'Alembert, Euler, and Lagrange) until the 1930s. Physical applications of these developments include hydrodynamics, celestial mechanics, continuum mechanics, elasticity theory, acoustics, thermodynamics, electricity, magnetism, and aerodynamics. The usage of the term "mathematical physics" is sometimes idiosyncratic. 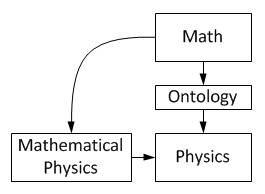 Certain parts of mathematics that initially arose from the development of physics are not, in fact, considered parts of mathematical physics, while other closely related fields are. For example, ordinary differential equations and symplectic geometry are generally viewed as purely mathematical disciplines, whereas dynamical systems and Hamiltonian mechanics belong to mathematical physics. On the other hand, theoretical physics emphasizes the links to observations and experimental physics, which often requires theoretical physicists (and mathematical physicists in the more general sense) to use heuristic, intuitive, and approximate arguments. Such arguments are not considered rigorous by mathematicians. Arguably, rigorous mathematical physics is closer to mathematics, and theoretical physics is closer to physics. This is reflected institutionally: mathematical physicists are often members of the mathematics department. The effort to put physical theories on a mathematically rigorous footing has inspired many mathematical developments. For example, the development of quantum mechanics and some aspects of functional analysis parallel each other in many ways. The mathematical study of quantum mechanics, quantum field theory and quantum statistical mechanics has motivated results in operator algebras. The attempt to construct a rigorous quantum field theory has also brought about progress in fields such as representation theory. Use of geometry and topology plays an important role in string theory. In the first decade of the 16th century, amateur astronomer Nicolaus Copernicus proposed heliocentrism, and published a treatise on it in 1543. Not quite radical, Copernicus merely sought to simplify astronomy and achieve orbits of more perfect circles, stated by Aristotelian physics to be the intrinsic motion of Aristotle's fifth element—the quintessence or universal essence known in Greek as aither for the English pure air—that was the pure substance beyond the sublunary sphere, and thus was celestial entities' pure composition. The German Johannes Kepler [1571–1630], Tycho Brahe's assistant, modified Copernican orbits to ellipses, however, formalized in the equations of Kepler's laws of planetary motion. An enthusiastic atomist, Galileo Galilei in his 1623 book The Assayer asserted that the "book of nature" is written in mathematics. His 1632 book, upon his telescopic observations, supported heliocentrism. Having introducing experimentation, Galileo then refuted geocentric cosmology by refuting Aristotelian physics itself. Galilei's 1638 book Discourse on Two New Sciences established law of equal free fall as well as the principles of inertial motion, founding the central concepts of what would become today's classical mechanics. By the Galilean law of inertia as well as the principle Galilean invariance, also called Galilean relativity, for any object experiencing inertia, there is empirical justification of knowing only its being at relative rest or relative motion—rest or motion with respect to another object. René Descartes adopted Galilean principles and developed a complete system of heliocentric cosmology, anchored on the principle of vortex motion, Cartesian physics, whose widespread acceptance brought demise of Aristotelian physics. Descartes sought to formalize mathematical reasoning in science, and developed Cartesian coordinates for geometrically plotting locations in 3D space and marking their progressions along the flow of time. Isaac Newton [1642–1727] developed new mathematics, including calculus and several numerical methods such as Newton's method to solve problems in physics. Newton's theory of motion, published in 1687, modeled three Galilean laws of motion along with Newton's law of universal gravitation on a framework of absolute space—hypothesized by Newton as a physically real entity of Euclidean geometric structure extending infinitely in all directions—while presuming absolute time, supposedly justifying knowledge of absolute motion, the object's motion with respect to absolute space. The principle Galilean invariance/relativity was merely implicit in Newton's theory of motion. Having ostensibly reduced Keplerian celestial laws of motion as well as Galilean terrestrial laws of motion to a unifying force, Newton achieved great mathematic rigor if theoretical laxity. In the 18th century, the Swiss Daniel Bernoulli [1700–1782] made contributions to fluid dynamics, and vibrating strings. The Swiss Leonhard Euler [1707–1783] did special work in variational calculus, dynamics, fluid dynamics, and other areas. Also notable was the Italian-born Frenchman, Joseph-Louis Lagrange [1736–1813] for work in analytical mechanics (he formulated the so-called Lagrangian mechanics) and variational methods. A major contribution to the formulation of Analytical Dynamics called Hamiltonian Dynamics was also made by the Irish physicist, astronomer and mathematician, William Rowan Hamilton [1805-1865]. Hamiltonian Dynamics had played an important role in the formulation of modern theories in physics including field theory and quantum mechanics. The French mathematical physicist Joseph Fourier [1768 – 1830] introduced the notion of Fourier series to solve the heat equation giving rise to a new approach to handle partial differential equations by means of integral transforms. Into the early 19th century, the French Pierre-Simon Laplace [1749–1827] made paramount contributions to mathematical astronomy, potential theory, and probability theory. Siméon Denis Poisson [1781–1840] worked in analytical mechanics and potential theory. In Germany, Carl Friedrich Gauss [1777–1855] made key contributions to the theoretical foundations of electricity, magnetism, mechanics, and fluid dynamics. A couple of decades ahead of Newton's publication of a particle theory of light, the Dutch Christiaan Huygens [1629–1695] developed the wave theory of light, published in 1690. By 1804, Thomas Young's double-slit experiment revealed an interference pattern as though light were a wave, and thus Huygens's wave theory of light, as well as Huygens's inference that that light waves were vibrations of the luminiferous aether was accepted. Jean-Augustin Fresnel modeled hypothetical behavior of the aether. Michael Faraday introduced the theoretical concept of a field—not action at a distance. Mid-19th century, the Scottish James Clerk Maxwell [1831–1879] reduced electricity and magnetism to Maxwell's electromagnetic field theory, whittled down by others to the four Maxwell's equations. Initially, optics was found consequent of Maxwell's field. Later, radiation and then today's known electromagnetic spectrum were found also consequent of this electromagnetic field. The English physicist Lord Kelvin [1824–1907] did a lot of major work: Stokes was a leader in optics and fluid dynamics; Kelvin made substantial discoveries in thermodynamics; Hamilton did notable work on analytical mechanics finding out a new and powerful approach nowadays known as Hamiltonian mechanics. Very relevant contributions to this approach are due to his German colleague Carl Gustav Jacobi [1804–1851] in particular referring to the so-called canonical transformations. The German Hermann von Helmholtz [1821–1894] is greatly contributed to electromagnetism, waves, fluids, and sound. In the United States, the pioneering work of Josiah Willard Gibbs [1839–1903] became the basis for statistical mechanics. Fundamental theoretical results in this area were achieved by the German Ludwig Boltzmann [1844-1906]. Together, these individuals laid the foundations of electromagnetic theory, fluid dynamics, and statistical mechanics. By the 1880s, prominent was the paradox that an observer within Maxwell's electromagnetic field measured it at approximately constant speed regardless of the observer's speed relative to other objects within the electromagnetic field. Thus, although the observer's speed was continually lost relative to the electromagnetic field, it was preserved relative to other objects in the electromagnetic field. And yet no violation of Galilean invariance within physical interactions among objects was detected. As Maxwell's electromagnetic field was modeled as oscillations of the aether, physicists inferred that motion within the aether resulted in aether drift, shifting the electromagnetic field, explaining the observer's missing speed relative to it. Physicists' mathematical process to translate the positions in one reference frame to predictions of positions in another reference frame, all plotted on Cartesian coordinates, had been the Galilean transformation, which was newly replaced with Lorentz transformation, modeled by the Dutch Hendrik Lorentz [1853–1928]. In 1887, experimentalists Michelson and Morley failed to detect aether drift, however. It was hypothesized that motion into the aether prompted aether's shortening, too, as modeled in the Lorentz contraction. Hypotheses at the aether thus kept Maxwell's electromagnetic field aligned with the principle Galilean invariance across all inertial frames of reference, while Newton's theory of motion was spared. In the 19th century, Gauss's contributions to non-Euclidean geometry, or geometry on curved surfaces, laid the groundwork for the subsequent development of Riemannian geometry by Bernhard Riemann [1826–1866]. Austrian theoretical physicist and philosopher Ernst Mach criticized Newton's postulated absolute space. Mathematician Jules-Henri Poincaré [1854–1912] questioned even absolute time. In 1905, Pierre Duhem published a devastating criticism of the foundation of Newton's theory of motion. Also in 1905, Albert Einstein [1879–1955] published special theory of relativity, newly explaining both the electromagnetic field's invariance and Galilean invariance by discarding all hypotheses at aether, including aether itself. Refuting the framework of Newton's theory—absolute space and absolute time—special relativity states relative space and relative time, whereby length contracts and time dilates along the travel pathway of an object experiencing kinetic energy. Another revolutionary development of the twentieth century has been quantum theory, which emerged from the seminal contributions of Max Planck [1856–1947] (on black body radiation) and Einstein's work on the photoelectric effect. This was, at first, followed by a heuristic framework devised by Arnold Sommerfeld [1868–1951] and Niels Bohr [1885–1962], but this was soon replaced by the quantum mechanics developed by Max Born [1882–1970], Werner Heisenberg [1901–1976], Paul Dirac [1902–1984], Erwin Schrödinger [1887–1961], Satyendra Nath Bose [1894 –1974], and Wolfgang Pauli [1900–1958]. This revolutionary theoretical framework is based on a probabilistic interpretation of states, and evolution and measurements in terms of self-adjoint operators on an infinite dimensional vector space. That is the so-called Hilbert space, introduced in its elementary form by David Hilbert [1862–1943] and Frigyes Riesz [1880-1956], and rigorously defined within the axiomatic modern version by John von Neumann in his celebrated book on mathematical foundations of quantum mechanics, where he built up a relevant part of modern functional analysis on Hilbert spaces, the spectral theory in particular. Paul Dirac used algebraic constructions to produce a relativistic model for the electron, predicting its magnetic moment and the existence of its antiparticle, the positron. Prominent contributors to the 20th century's mathematical physics (although the list contains some typical theoretical, not mathematical, physicists and leaves many, many contributors out) include (ordered by birth date) Arnold Sommerfeld [1868–1951], Albert Einstein [1879–1955], Max Born [1882–1970], Niels Bohr [1885–1962], Hermann Weyl [1885–1955], Satyendra Nath Bose [1894–1974], Wolfgang Pauli [1900–1958], Werner Heisenberg [1901–1976], Paul Dirac [1902–1984], Eugene Wigner [1902–1995], John von Neumann [1903–1957], Sin-Itiro Tomonaga [1906–1979], Hideki Yukawa [1907–1981], Lev Landau [1908-1968], Nikolay Bogolyubov [1909–1992], Mark Kac [1914–1984], Julian Schwinger [1918–1994], Richard Feynman [1918–1988], Arthur Strong Wightman [1922–2013], Chen-Ning Yang [1922– ], Rudolf Haag [1922– ], Freeman Dyson [1923– ], Martin Gutzwiller [1925–2014], Abdus Salam [1926–1996], Jürgen Moser [1928–1999], Peter Higgs [1929– ], Michael Atiyah [1929– ], Joel Lebowitz [1930– ], Roger Penrose [1931– ], Elliott H. Lieb [1932– ], Sheldon Lee Glashow [1932– ], Steven Weinberg [1933– ], Ludvig D. Faddeev [1934– ], David Ruelle [1935– ], Yakov G. Sinai [1935– ], Vladimir Arnold [1937–2010], Arthur Jaffe [1937– ], Roman Jackiw [1939– ], Leonard Susskind [1940– ], Rodney J. Baxter [1940– ], Stephen Hawking [1942– ], Alexander M. Polyakov [1945– ], Barry Simon [1946– ], John L. Cardy [1947– ], Edward Witten [1951– ], and Juan M. Maldacena [1968– ]. Moretti, V. (2013). Spectral Theory and Quantum Mechanics; With an Introduction to the Algebraic Formulation. Berlin, Milan: Springer.